Bruce Jenner won’t allow himself to hurt his children. The 65-year-old Olympic gold medallist has quite a large brood as he is father to Burt, Casey, Brandon, Brody, Kendall and Kylie Jenner and stepfather to Kardashian siblings Kim, Kourtney, Rob and Khloé. 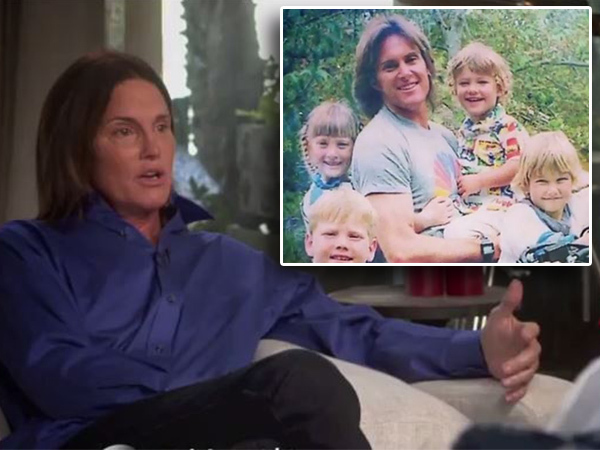 Speculation is rife Bruce is undergoing transgender procedures to transform into a woman and in a new teaser clip of his highly anticipated interview with American journalist Diane Sawyer, the Keeping Up with the Kardashians star spoke about how much his family means to him. "Those are the only ones I'm concerned with," he said of his children in the footage. "I can't let myself hurt them." Towards the beginning of the 38-second clip, the athlete-turned-reality star receives a glowing description from the narrator. Narration continued to tease, as the describer provided juicy insights into the discussion by listing these words: “The journey, the decisions, the future, Bruce Jenner, the interview”. The star’s TV special with esteemed journalist Diane entitled Bruce Jenner – The Interview airs in America on ABC network Friday April 24 at 9pm EST.